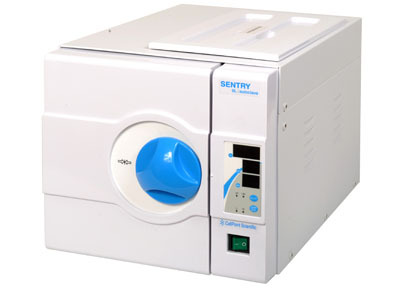 The Sentry Autoclave Steam Sterilizer is compact, easy to use, and perfect for any lab. These autoclaves feature convenient preset cycles and automatic operation which starts at the push of a button. They come with everything you need to sterilize your surgical instruments and labware without leaving your work space. Each unit includes 3 stainless steel trays and one tray rack, tray removal handle, draining hoses, spare door seal, and replacement fuses.